For some people, traveling abroad is inevitable. The reason is also very diverse and sometimes very personal. Traveling does offer many benefits such as expanding your perspective, new experiences, new friends, and more. But this activity can be a challenge related to finance. Of course this requires financing, and also no less important is the efficiency of budget usage during your journey. Holding cash in hand is important and much easier. But there are also risks such as exchange rates in destination countries that do not suit your favor and reduce the value of your money. Not to mention the added risk of the money stolen. Some of these reasons often make travelers uncomfortable to hold large amounts of cash when traveling overseas. 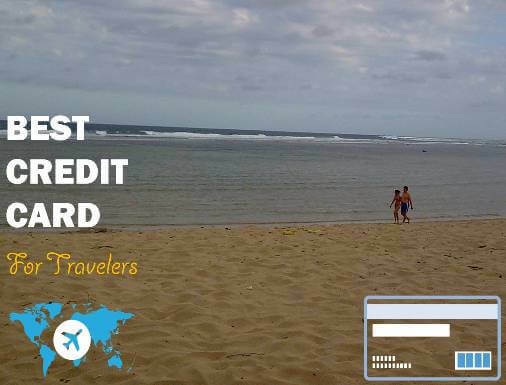 Many of them use credit cards for various purposes such as shopping, hotel payments, flights, cruises, rental cars, vacation packages, or baggage fees. Each traveler is unique and different. A certain card may be the best for some travelers, but may not apply for others. There are many credit card options, some of which offer advantages over others. Here are some features that can be considered (other than the great sign-up bonus and annual fee) in determining the best credit card for you. 1. Annual Travel Credit. You will automatically receive a certain amount of dollars in statement credits as reimbursement for travel purchases charged to the card each account anniversary year. 2. Hotel Credit. You will get a hotel credit toward dining, spa or other hotel recreational activities on paid stays of two nights or longer. 3. No Foreign Transaction Fees. You will pay no foreign transaction fees when you use your card for purchases. 4. Price Protection. If a card purchase you made is advertised for less in print or online within 90 days, you can be reimbursed the difference. 5. Purchase Protection. Cover your new purchases for 120 days against damage or theft. 6. Point Transfer. This benefit allows you to transfer your point to a variety of transfer partners (such as: airline and hotel loyalty programs). 7. More Ways To Redeem Miles. You can use miles to book travel airlines, enhance your travel with upgrades, inflight Wi-Fi, hotel stays, car rentals, merchandise, gift cards, cash back, once-in-a-lifetime events, and more. 8. Global Entry or TSA Pre Check. Receive a statement credit as reimbursement for the application fee charged to your card. 9. No Blackout Dates or Travel Restrictions. As long as there's a seat on the flight or room at the hotel, you can book it through the card. 10. Fraud Protection. You can rest easier knowing that your card transactions will be monitored for possible signs of fraudulent activity. 11. Zero Liability Protection. You won't be held responsible for unauthorized charges made with your card or account information. 12. Travel Accident Insurance. If you do get injured during a trip, many credit cards extend insurance policies for things like medical expenses during your trip. 13. Trip Cancellation/Interruption Insurance. You can be reimbursed for your pre-paid, non-refundable travel expenses (including passenger fares, tours, and hotels), if your trip is canceled or cut short by sickness, severe weather and other covered situations. 14. Trip Delay Reimbursement. If your common carrier travel is delayed more than 12 hours or requires an overnight stay, you and your family are covered for unreimbursed expenses, such as meals and lodging. 15. Priority Boarding. The primary cardmember and companions on the same reservation will be invited to board prior to general boarding. 16. Free First Checked Bag. The primary cardmember and one companion traveling on the same reservation will each receive their first standard checked bag free when purchasing tickets with their card. 17. Airport Lounge Access. Rest and revive before your flight at one of the airport lounges worldwide. 18. Baggage Delay Insurance. Reimburses you for essential purchases like toiletries and clothing for baggage delays over 6 hours by passenger carrier. 19. Lost Luggage Reimbursement. If you or an immediate family member check or carry on luggage that is damaged or lost by the carrier, you're covered. 20. 24/7 Customer Service Specialists. Enjoy direct access to a dedicated customer service specialist ready to assist you anytime, from anywhere in the world. 21. Auto Rental Collision Damage Waiver. Decline the rental company's collision insurance and charge the entire rental cost to your card. Coverage is primary and provides reimbursement up to the actual cash value of the vehicle for theft and collision damage for most rental cars. 22. The Luxury Hotel & Resort Collection. You can get room upgrades, complimentary daily breakfast for two, early check-in, late checkout (if available) and other amenities at luxury hotels and resorts worldwide. 23. Elite Status. Enjoy elite status benefits such as arrival gifts, room guarantees and more. 24. Free Night Stay. Receive a free night stay each year after your account anniversary. 25. Emergency Evacuation & Transportation. If you or a member of your immediate family are injured or become sick during a trip far from home that results in an emergency evacuation, you can be covered for medical services and transportation. Please Note: These benefits are available when you use your card. Restrictions, limitations and exclusions apply. Most benefits are underwritten by unaffiliated insurance companies who are solely responsible for the administration and claims. There are specific time limits and documentation requirements. So you must be thorough and know very well about the ins and outs of credit cards that you will choose. Just pay off the balance every month, so you do not have any interest charged. This may be just a fraction of the perks offered to cardmember, in this case particularly travelers. Some of these benefits may not be available in one card, so you need to consider the benefits you want to suit your traveling needs. Hope this article can help you to make better decisions and Thank You!